THREE CRITICALLY-ACCLAIMED EPIC SCIENCE FICTION NOVELS TOGETHER FOR THE FIRST TIME from the Under Jurisdiction series by John W. Campbell award finalist Susan R. Matthews. THE FIRST OF TWO SERIES OMNIBUS VOLUMES. This volume includes series entries An Exchange of Hostages, Prisoner of Conscience, and Angel of Destruction. 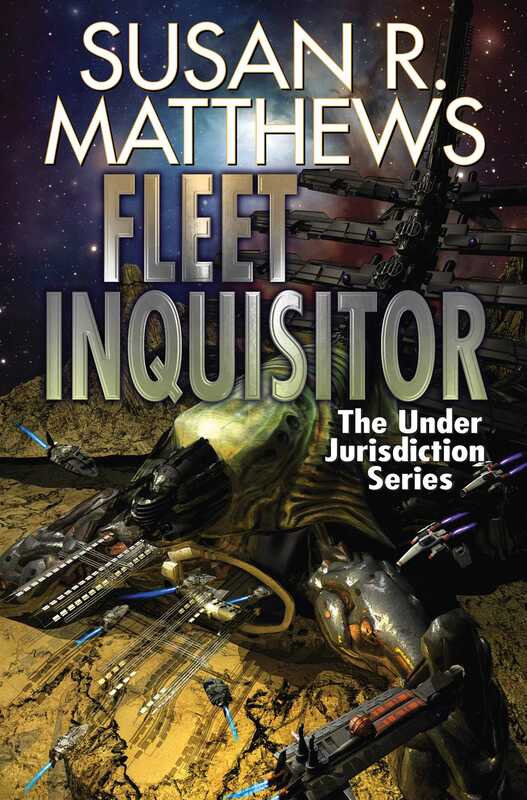 Volume Two—Fleet Renegade will be followed by the new Under Jurisdiction novel Blood Enemies. Under Jurisdiction torture isn’t about truth. It’s about terror. The Jurisdiction’s Bench has come to rely on the institutionalized atrocities of the Protocols to maintain its control of an increasingly unstable political environment. When Andrej Koscuisko, a talented young doctor, reports to orientation as a Ship’s Inquisitor he will discover in himself something far worse than a talent for inflicting grotesque torments on the Bench’s enemies. He will confront a passion for the exercise of the Writ to Inquire, whose intensity threatens to consume him utterly. He wanted to be a doctor, but his family sent him to be a Ship’s Inquisitor. Only his fierce determination to hold to justice wherever he can find it has preserved his sanity—his own force of will, and a peculiar partnership with a man condemned by the Bench to serve on pain of agonizing punishment inflicted by the “governor” in his brain. Bench Intelligence Specialist Garol Vogel is one of an elite few chartered by the Bench to uphold the Jurisdiction's rule of Law by any means he sees fit: to rewrite policy, assassinate corrupt officials, and topple planetary governments at his Jurisdiction's discretion. His most treasured achievement was the amnesty he brokered for the Langsarik rebels. But someone is raiding depot stations in the Shawl of Rikavie around Port Charid, torturing and murdering with unprecedented savagery. Vogel knows the Langsariks are innocent, but who could be to blame, and how can he prevent a Judicial crime of horrific proportions? Garol Vogel finds the answer on the wrong side of the Judicial order he’s served faithfully all his life, and once he sets foot on a path of subversion and sabotage there will be no going back, ever.